Director: David France. Documentary about the formation of ACT-UP and its anti-HIV/AIDS activism, especially regarding the push for better drugs and faster trials. Interview subjects include Peter Staley, Larry Kramer, Jim Eigo, David Barr, Gregg Bordowitz, Bill Bahlman, Iris Long, and Mark Harrington. Screenplay: David France, Todd Woody Richman, and Tyler H. Walk. Twitter Capsule: Best doc since The Interrupters. 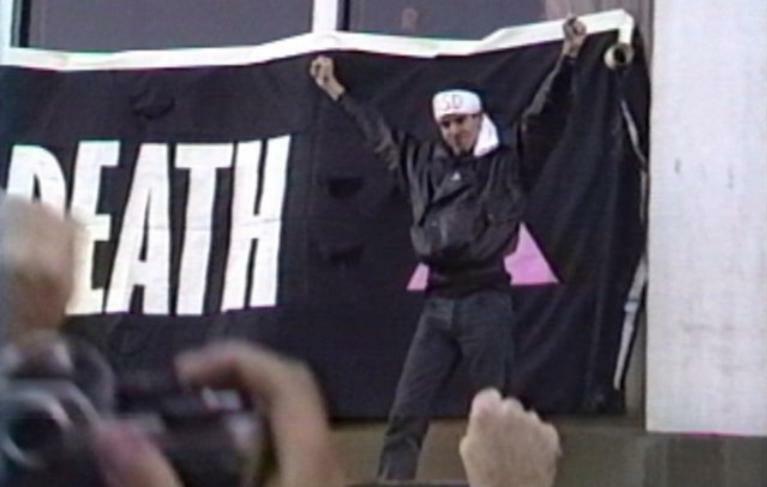 ACT-UP story honors angry, effective group action as US films rarely do.